We show how the problem of verifying parameterized systems can be reduced to the problem of determining the equivalence of goals in a logic program. We further show how goal equivalences can be established using induction-based proofs. 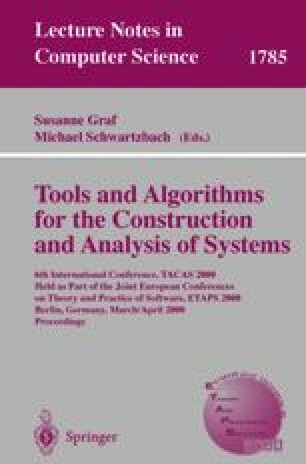 Such proofs rely on a powerful new theory of logic program transformations (encompassing unfold, fold and goal replacement over multiple recursive clauses), can be highly automated, and are applicable to a variety of network topologies, including uni- and bi-directional chains, rings, and trees of processes. Unfold transformations in our system correspond to algorithmic model-checking steps, fold and goal replacement correspond to deductive steps, and all three types of transformations can be arbitrarily interleaved within a proof. Our framework thus provides a seamless integration of algorithmic and deductive verification at fine levels of granularity. This work was partially supported by NSF grants CCR-9711386, CCR-9876242, CDA-9805735 and EIA-9705998.